Dr. Marie Hulett interviews guests involved with animals. She is joined by co-hosts, Jeffrey Isbell and Ariana Isbell. Ariana is a vegetarian and vegan chef who shares humane recipes on every episode. Topics include animal rescue, urban wildlife, pet products, books, animal films, behavior, etc. 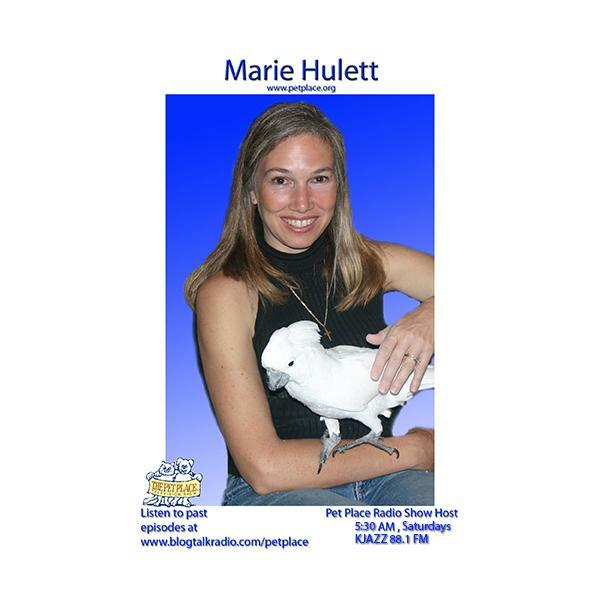 You can also check out Marie's blog at http://mariehulett.blogspot.com/ to read about animal behavior, urban wildlife issues, humane laws, and other animal-related topics. If you have a question about animals, Marie is happy to respond to it. Her background includes years in Veterinary Public Health, private veterinary care, livestock, wildlife management, rescue, cruelty investigations, animal behavior, and more. Host Marie Hulett talks with Robin Ganzert, American Humane Association CEO about the current status of the Japanese Coast, 1 year after the earthquake/tsunami, and how people and pets are doing there. Also, how the AHA assisted victims of Hurricane Sandy here in the United States. Later in the program, Ken Braun from uraPET.com explains the ins and outs of a fun new social network for pets!